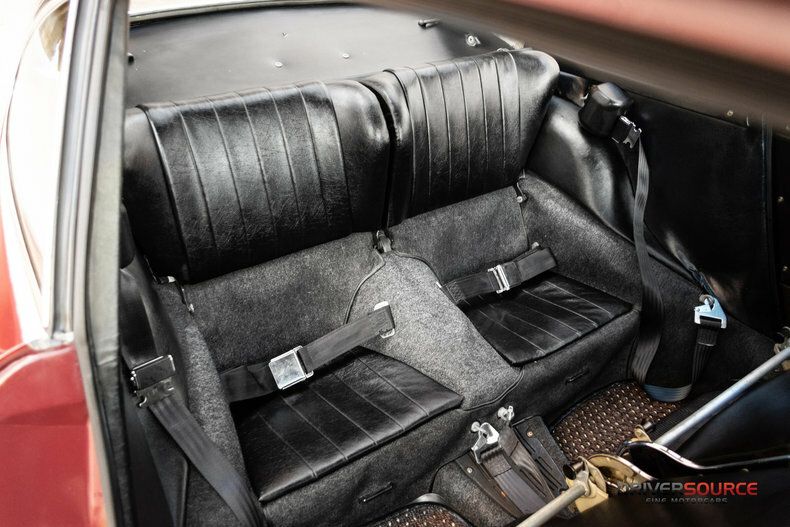 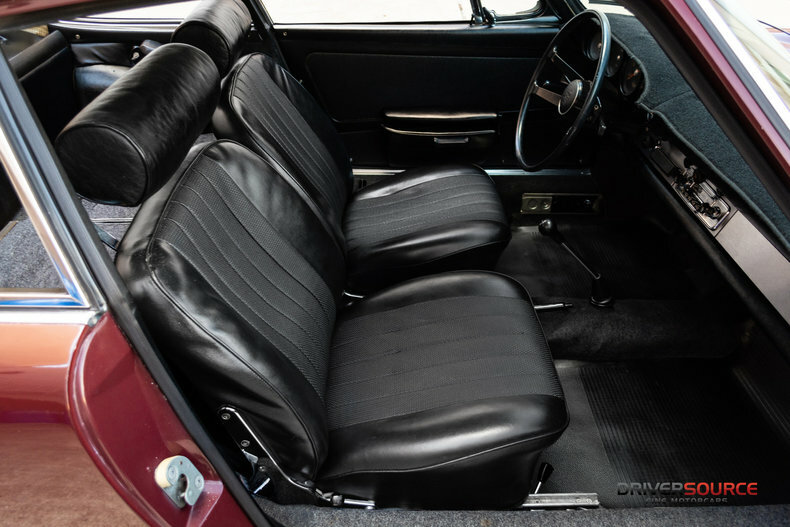 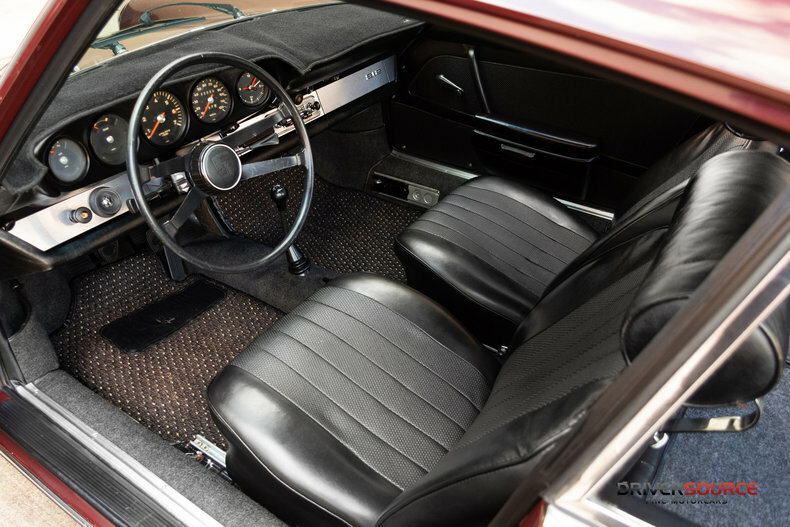 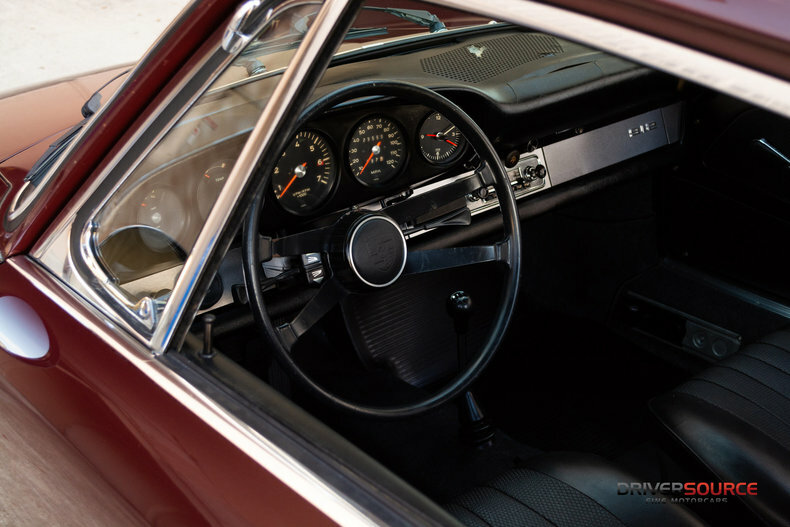 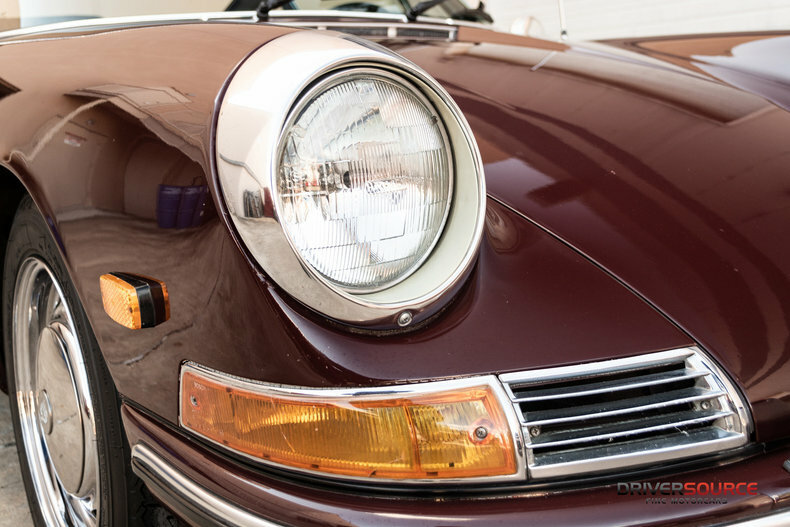 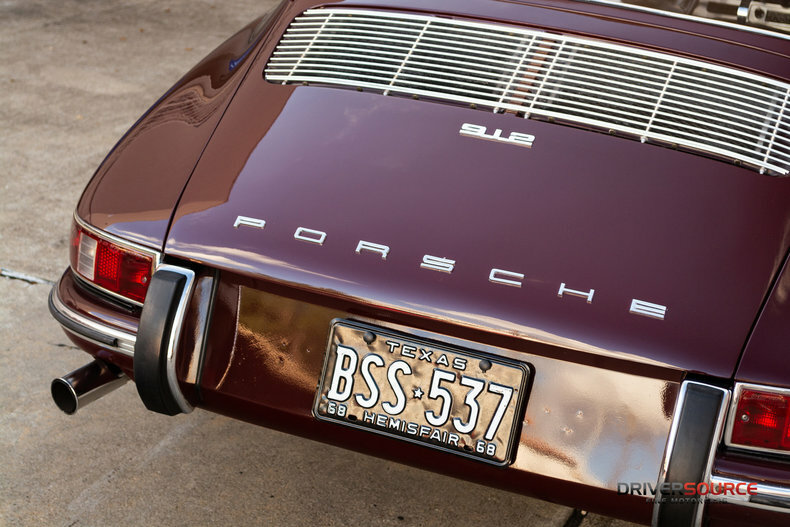 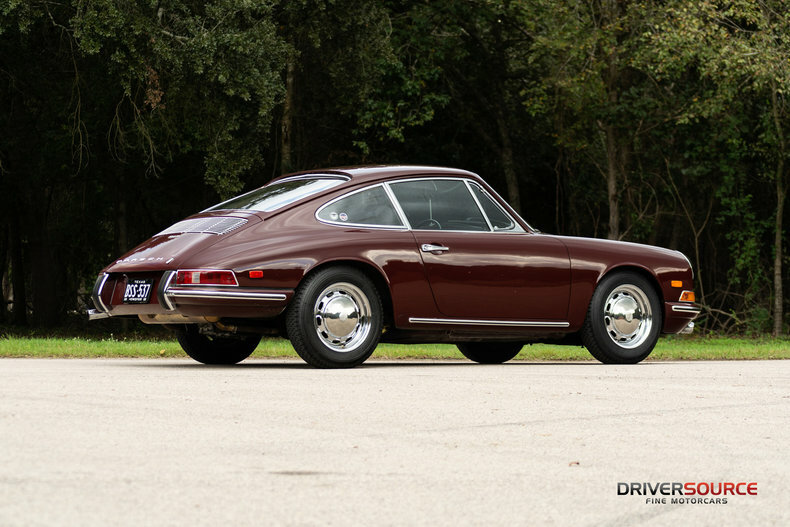 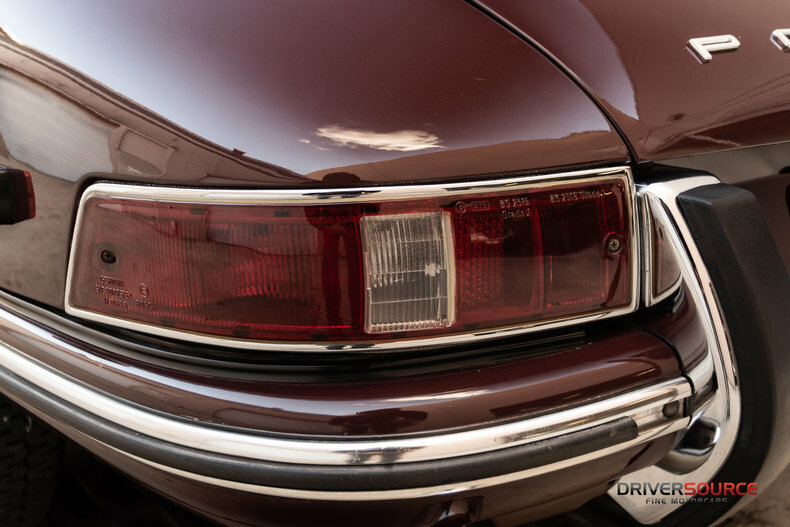 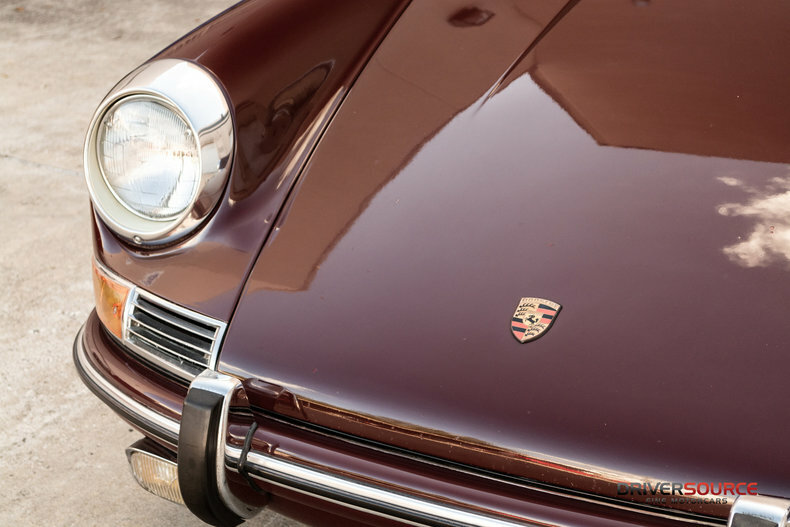 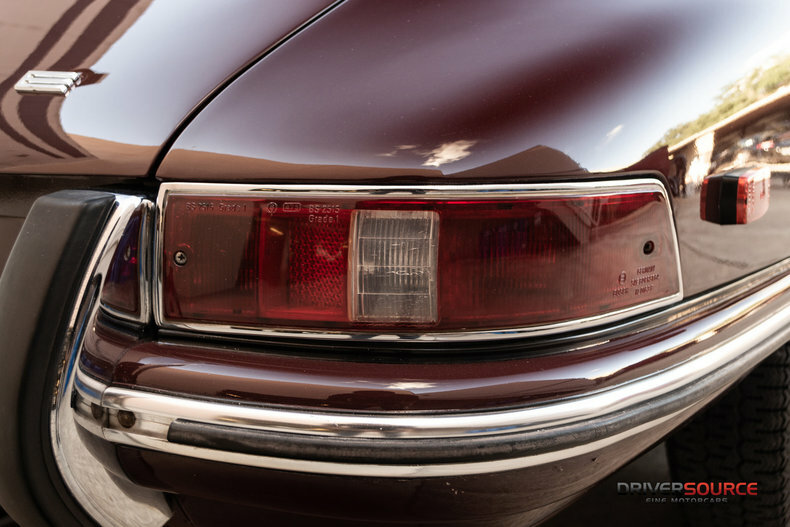 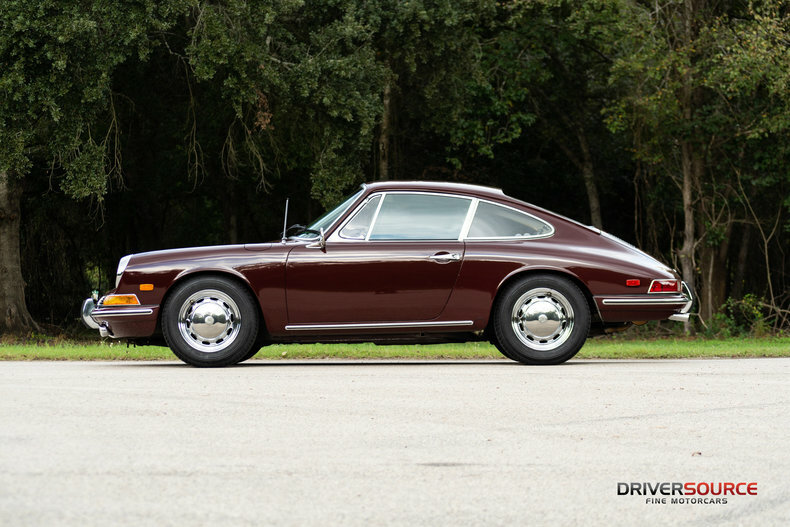 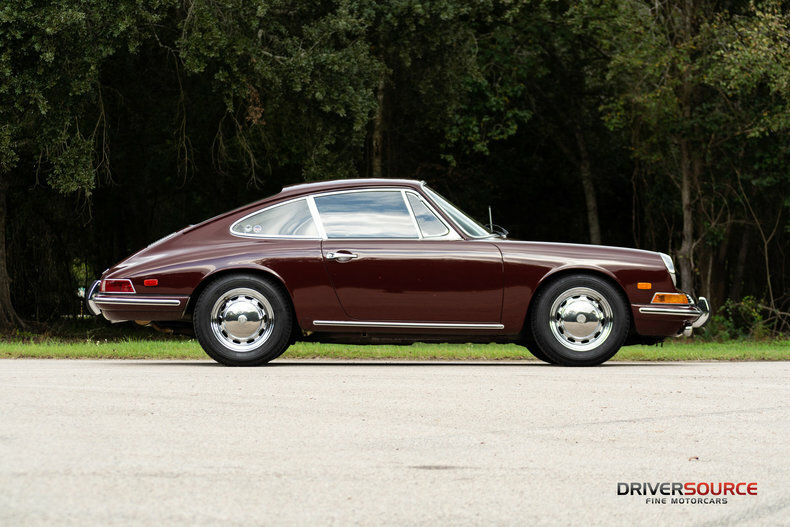 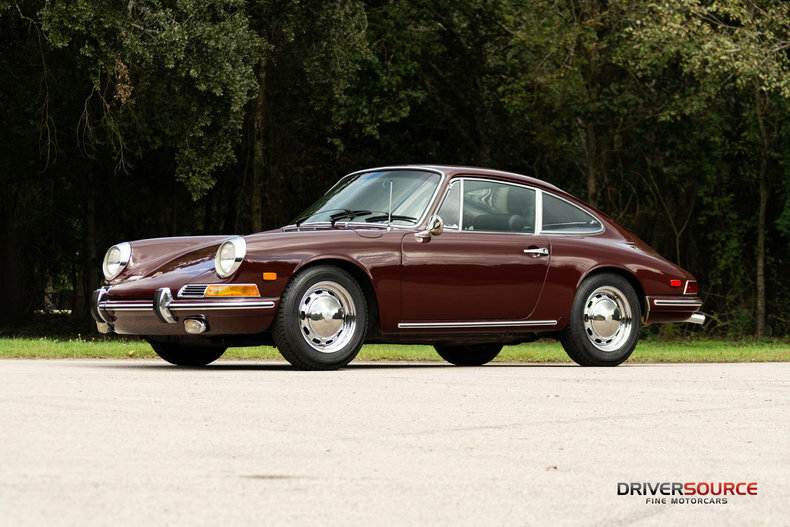 12800836 was completed October 13, 1967, finished in Burgundy Red (6808) over Black Leatherette upholstery, and imported through Porsche Car Distributors of Culver City, California and sold new by Truman Motors of El Cajon to a local San Diego resident in December of 1967. 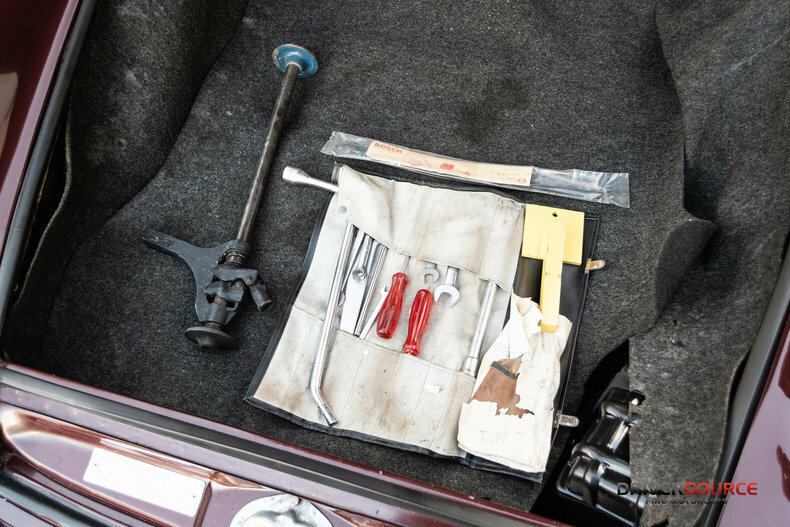 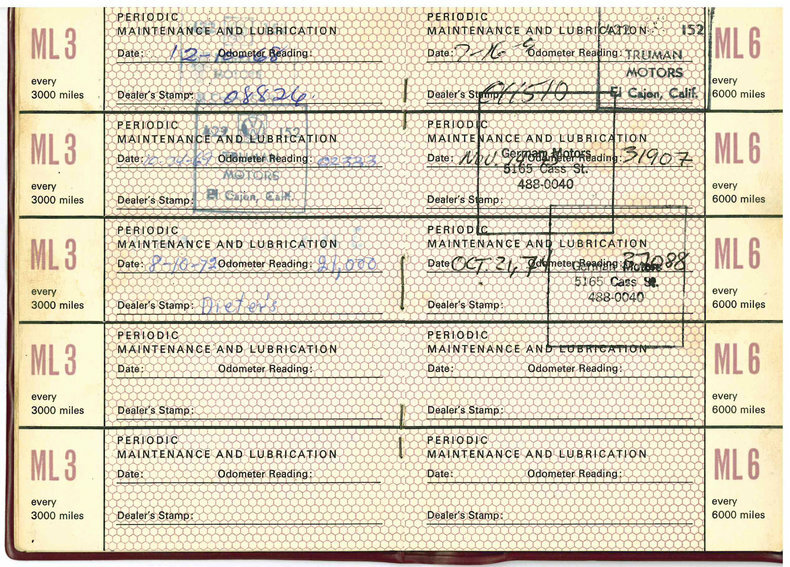 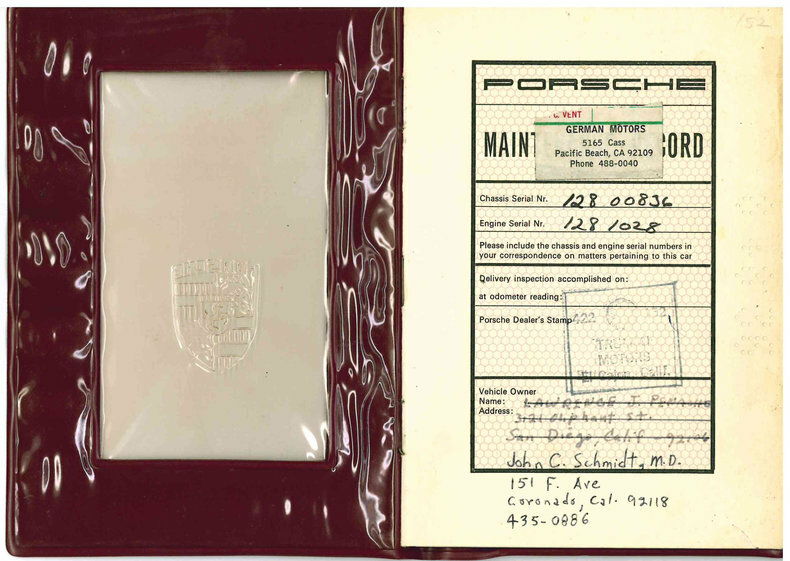 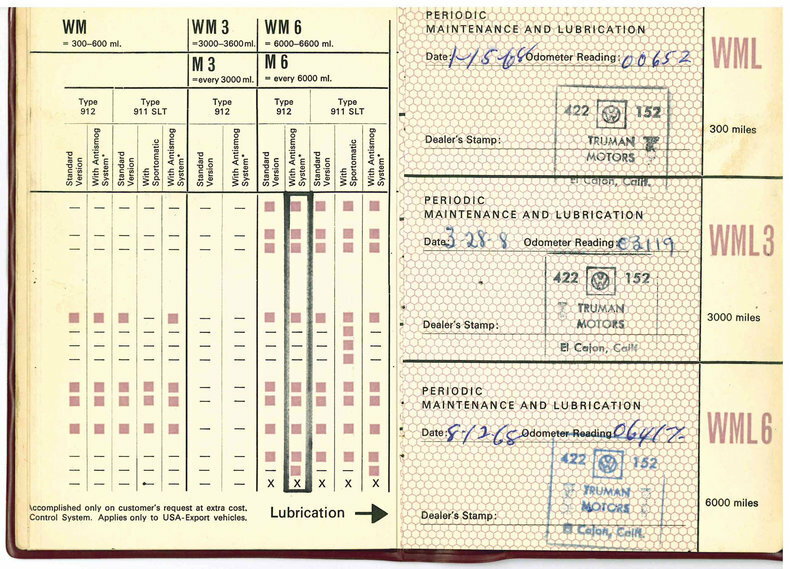 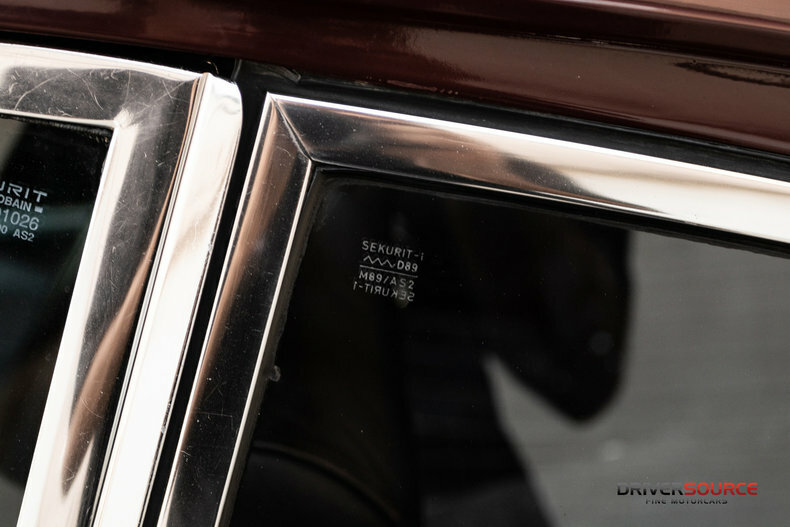 The Porsche’s VIN-matched Maintenance Record booklet documents a lengthy list of services performed, including the transfer to its second caretaker, Dr. Schmidt of Coronado, CA on April 28, 1972. 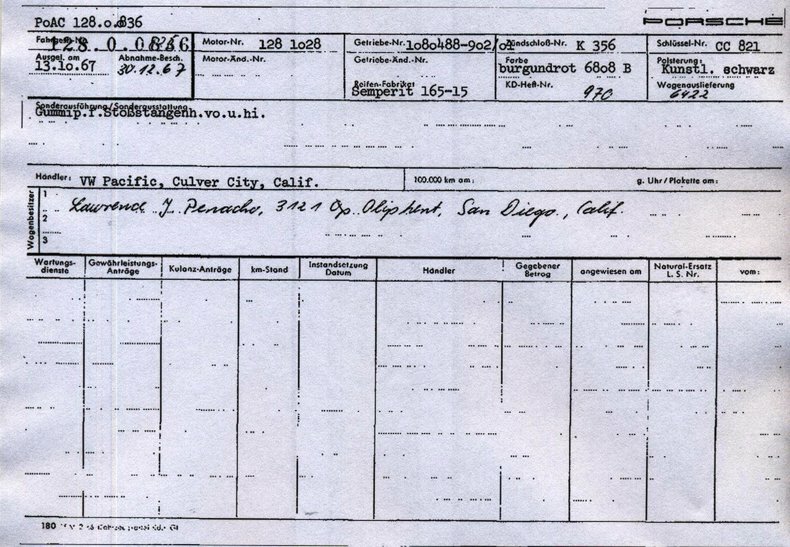 Schmidt meticulously recorded maintenance, service and events until 1985, while still residing in California. 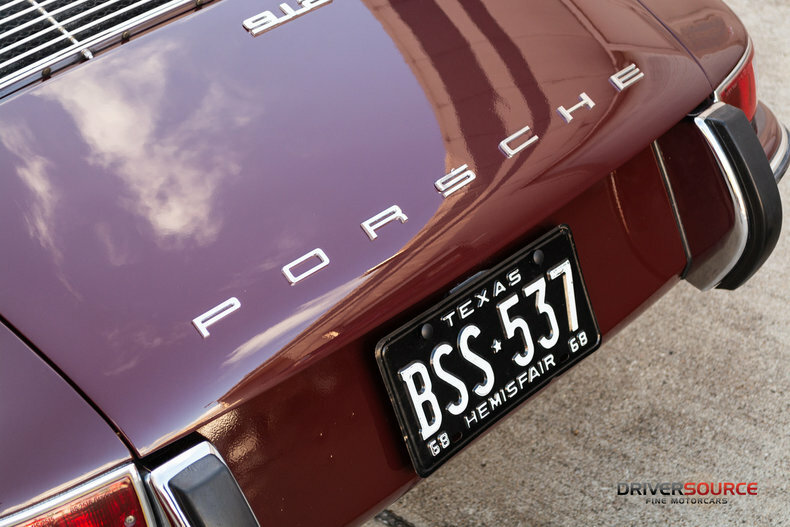 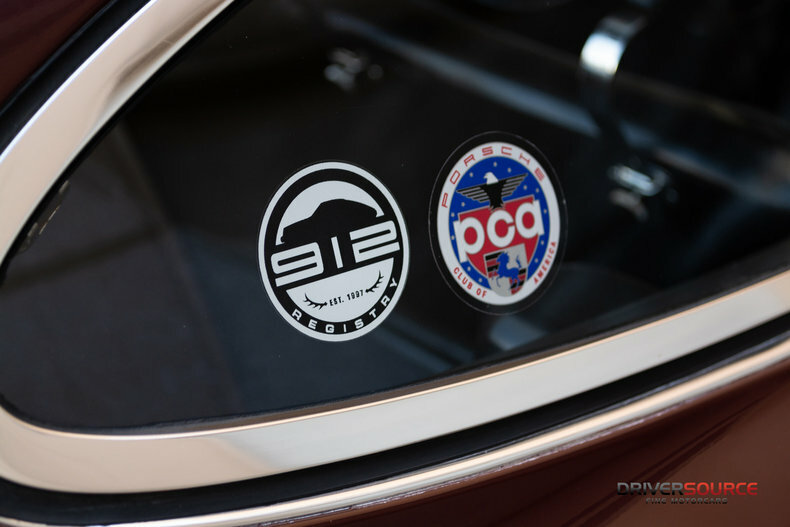 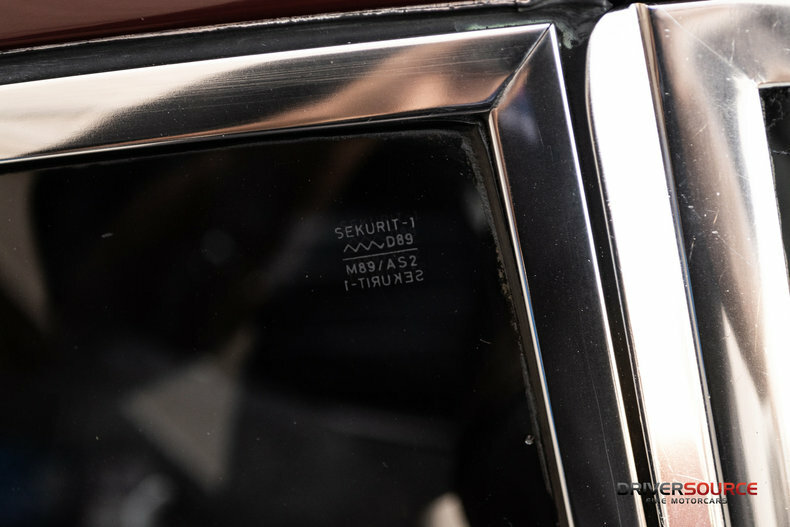 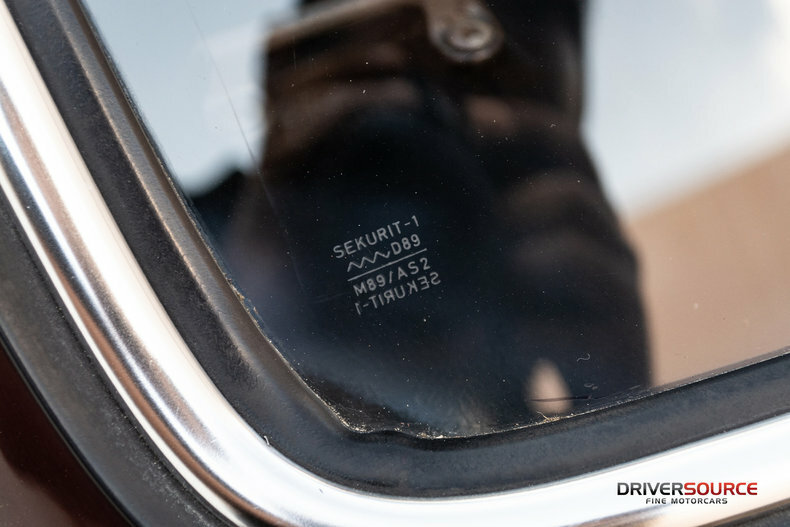 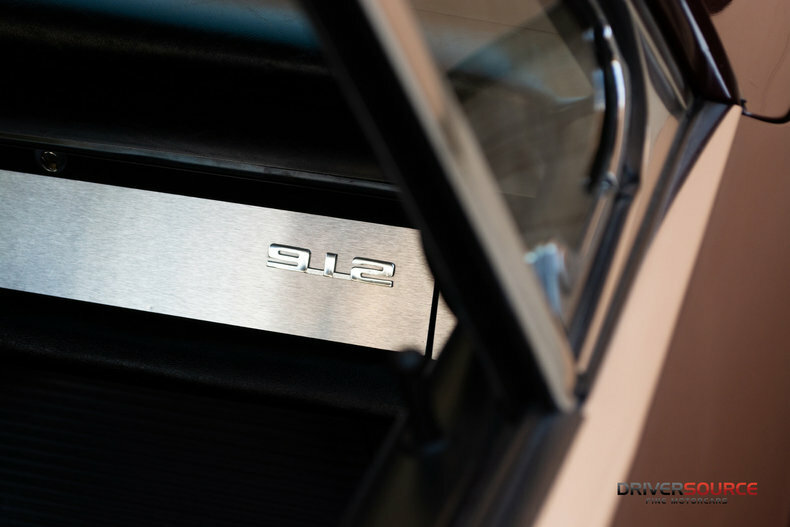 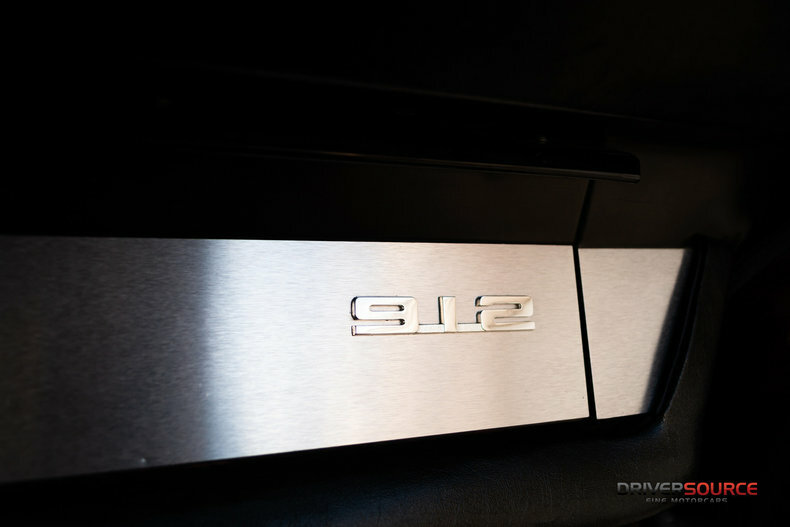 12800836 later made its way to Austin, Texas where it would remain in careful ownership before making its way to DriverSource in mid-2018. 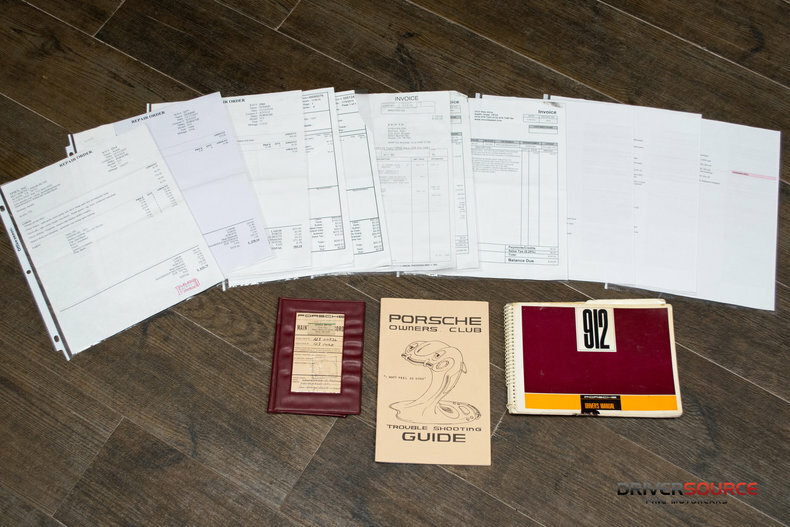 A decade’s worth of recent service history also accompanies earlier registration documents and original Driver’s Manual. 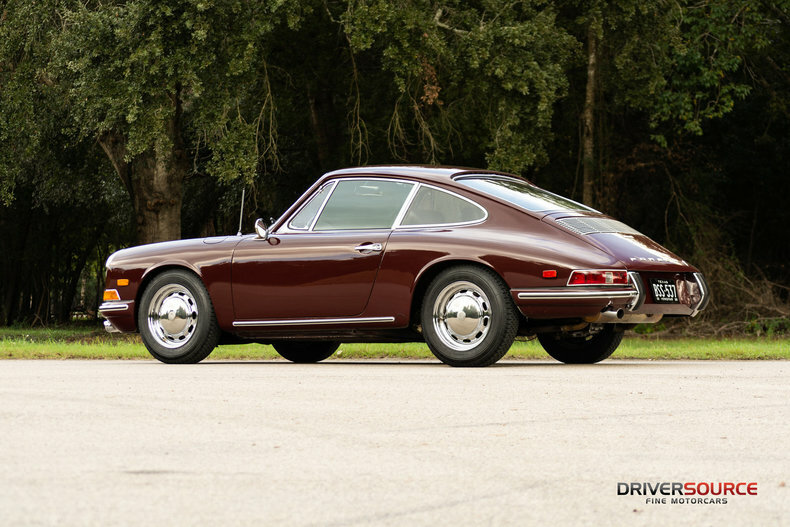 Benefitting from a recent mechanical tune-up and detailing, this outstanding 912 presents remarkably original for those seeking an unrestored SWB for spirited touring. 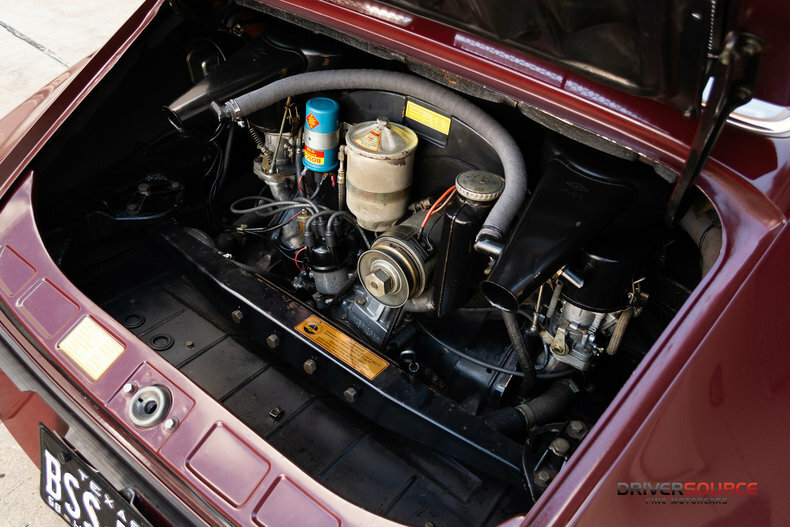 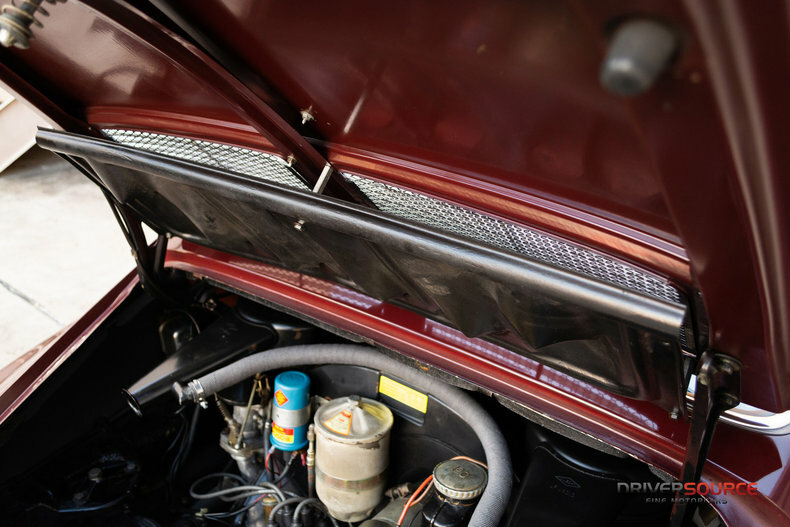 Aside from a much older exterior repaint and more recent windscreen replacement, 12800836 retains its original body, pans, trim, wheels and more. 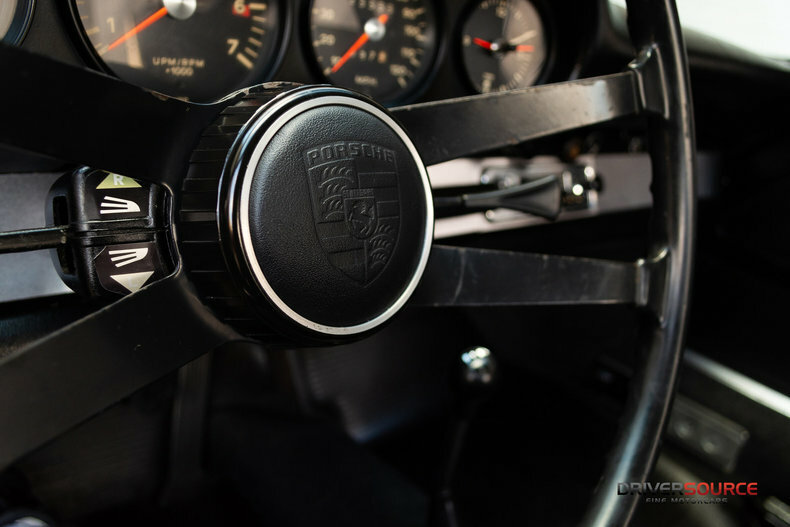 Factory spotwelds, undercoating, plugs and equipment are identified throughout the 912, leading into a beautifully preserved cabin. 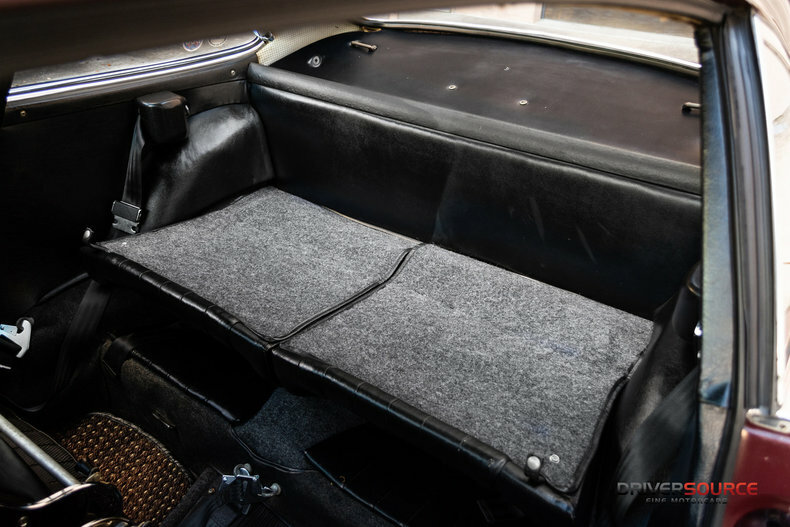 It appears much of the original upholstery remains in place. 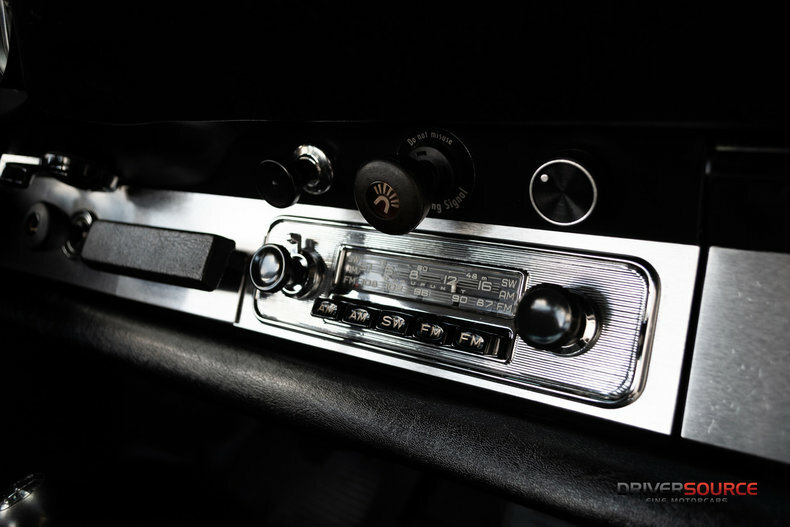 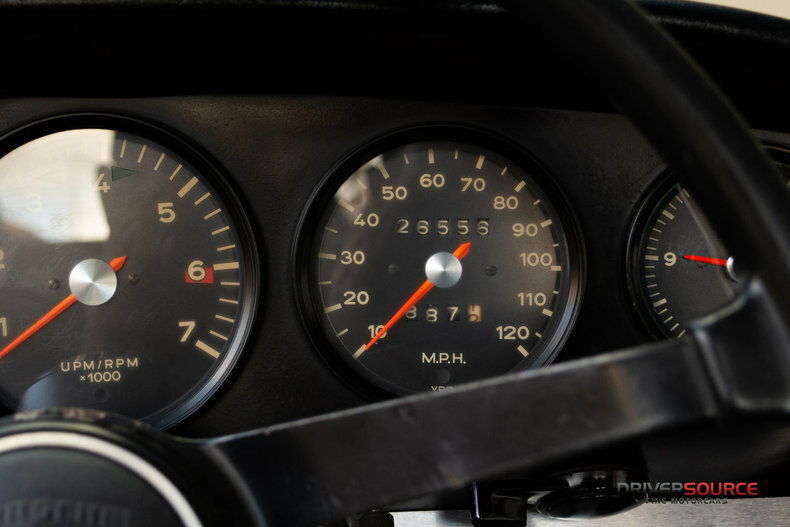 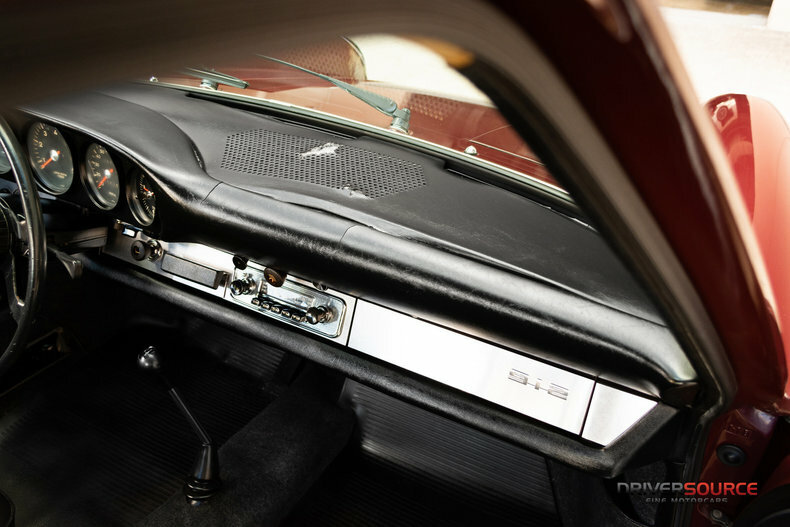 The original dash shows its age (pictured) and is protected by a carpet dash cover. 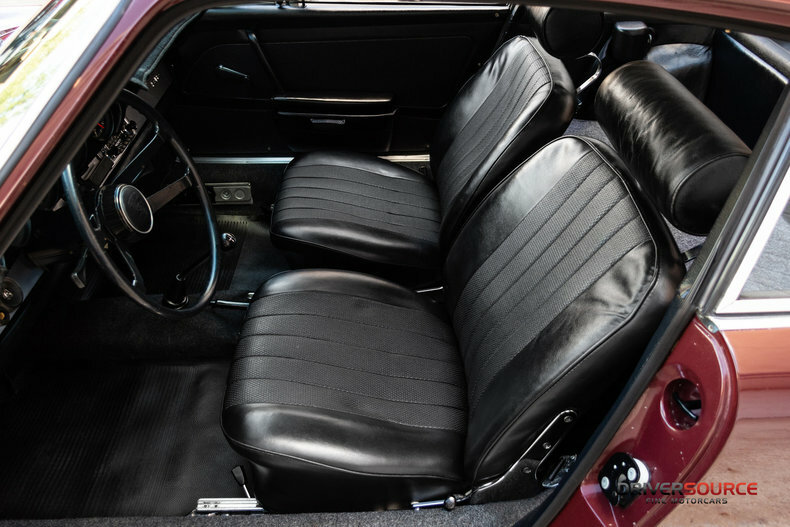 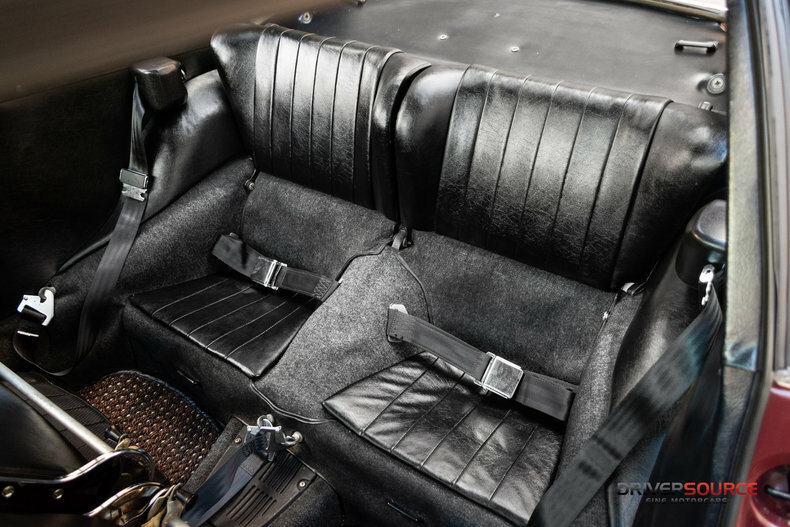 The front chairs received leather headrests on May 26, 1972 from a 1967 911, along with a re-stuffing a bit later in life. 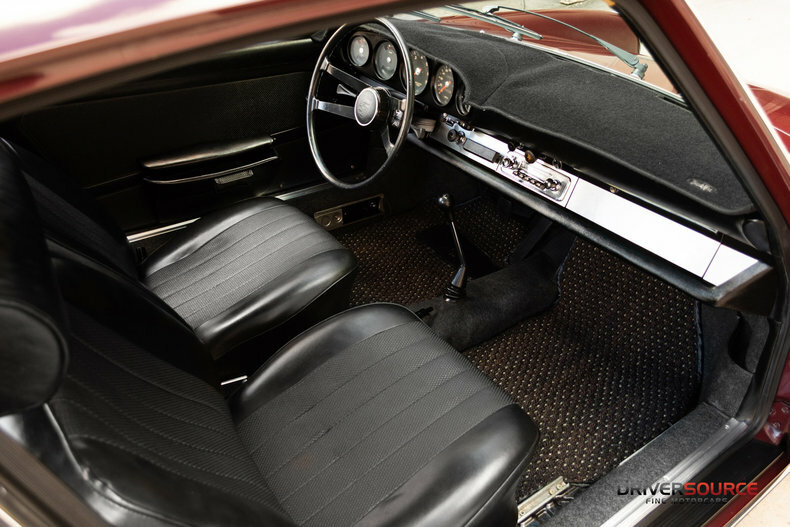 A matching set of Coco mats protect the underlying rubber mats. 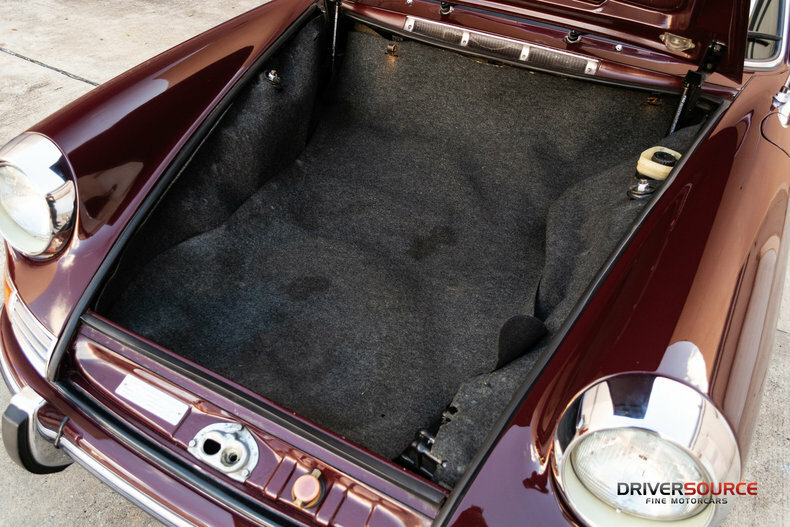 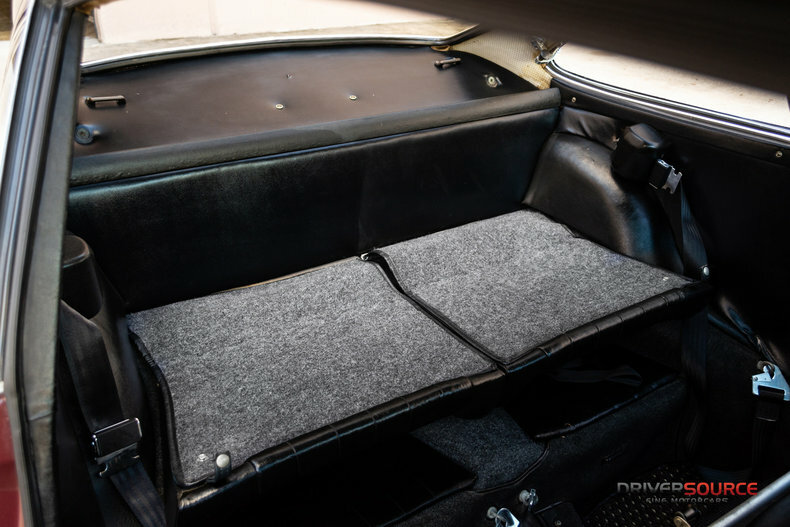 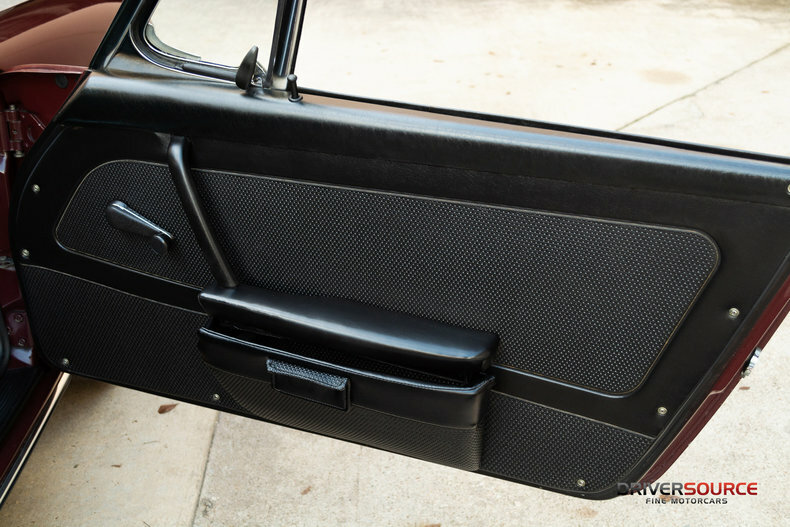 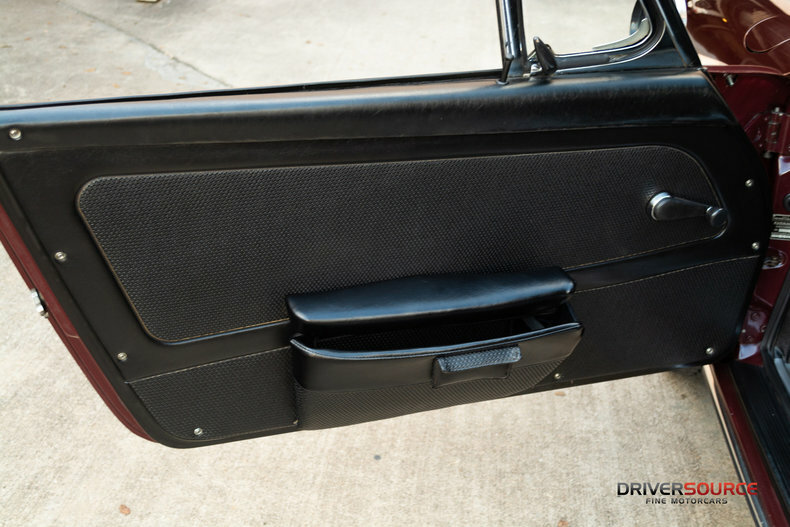 Complementing the cabin is an exceptional luggage compartment with original perlon carpeting, jack, tool kit and 8/67 date stamped spare tire. 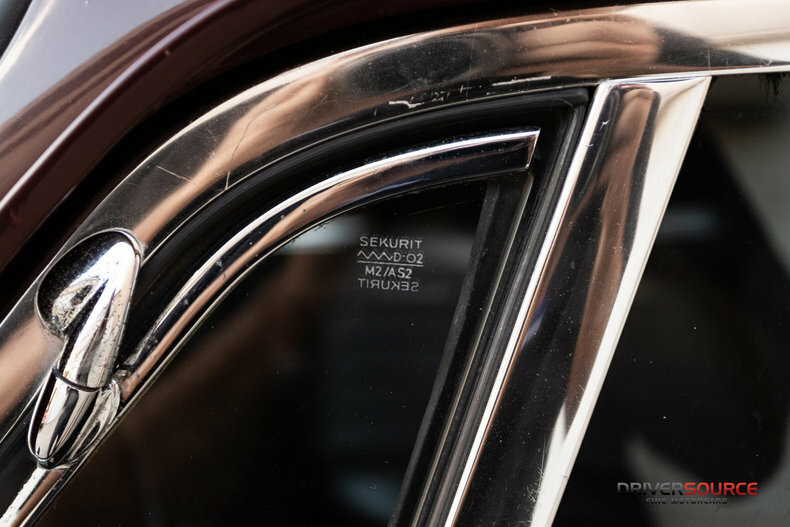 In fact, all 5 tires are exact matching 8/67 production. 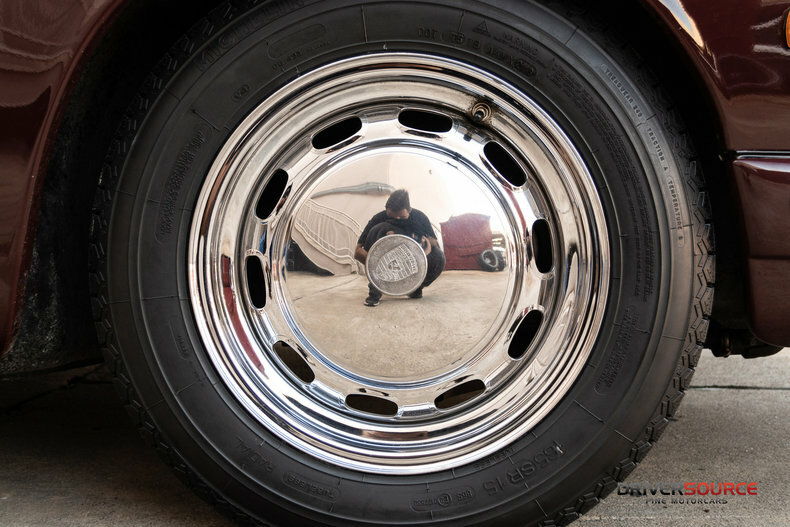 Original crested hubcaps and new 165SR15 Michelin XZX tires are fitted to the 4 mounted wheels. 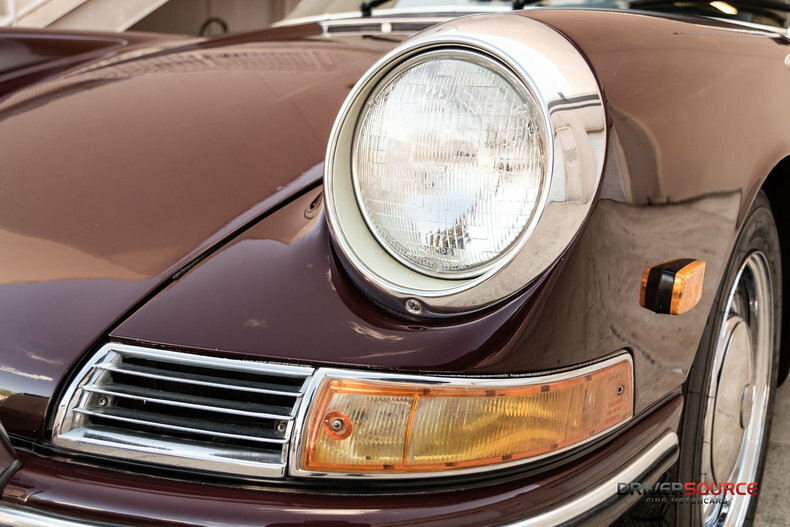 Hella fog lamps, single exterior mirror and unique 1968-only reflectors complete the ensemble. 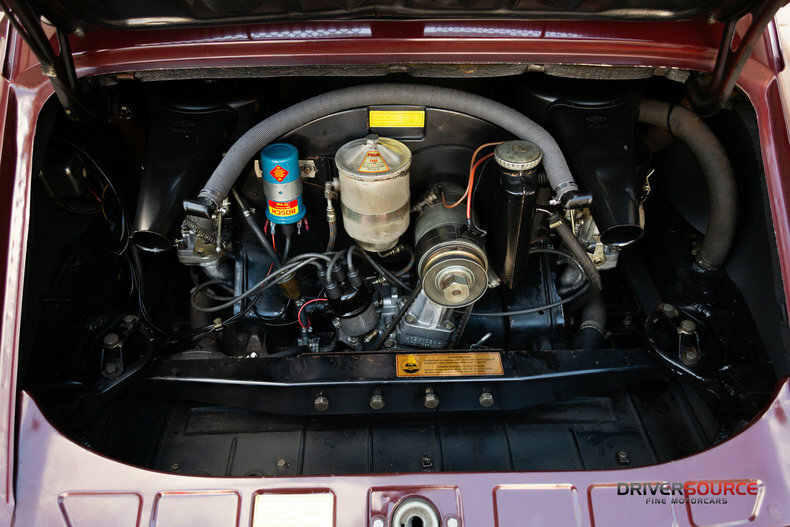 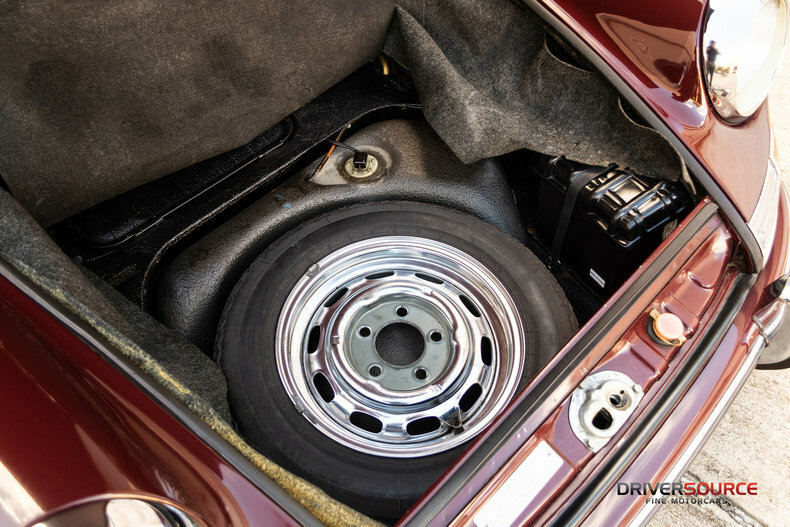 The Porsche’s undercarriage reflects that of a stereotypical southern California car, exceptionally preserved, down to the body drainplugs. 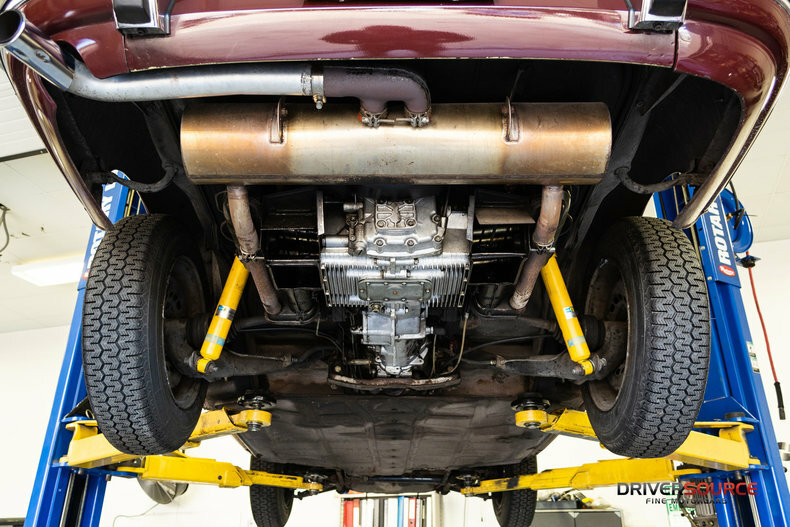 Welcomed enhancements, include Elephant Racing bushings front-to-rear, Bilstein shocks and an M&K sport muffler. 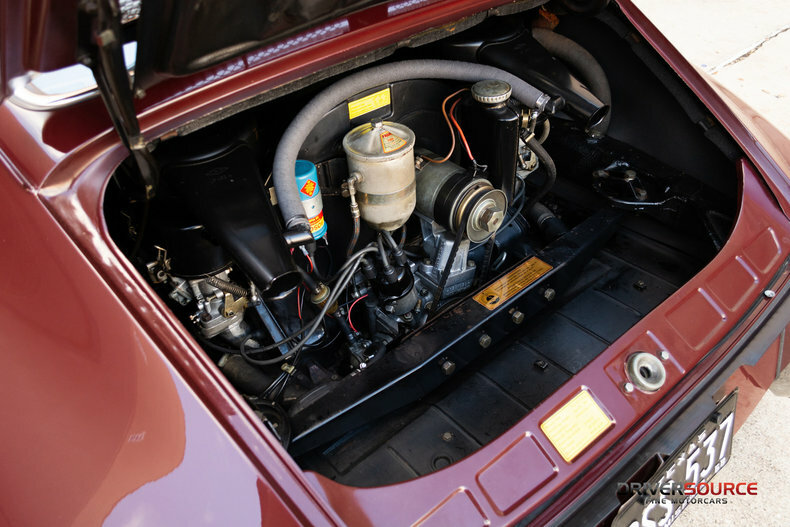 Likewise, the numbers-matching engine and its bay are very tidy, maintained and in proper sorted order. 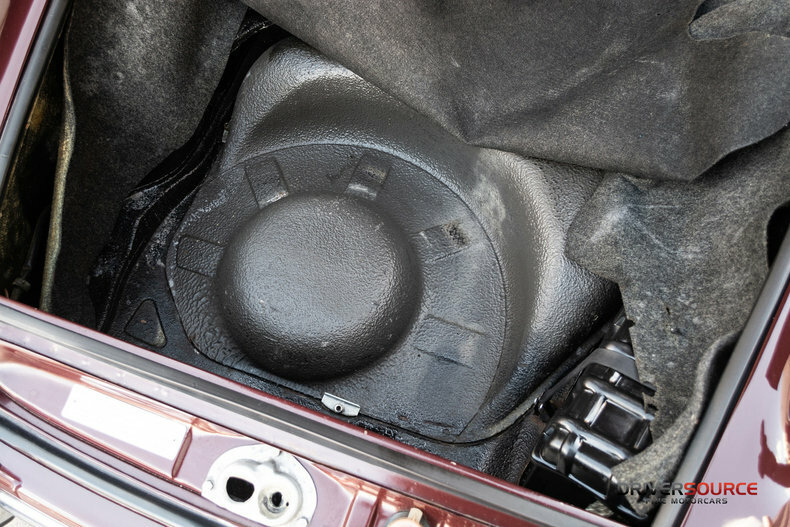 The EGR smog pump and auxiliary equipment were removed many years ago, but do accompany the sale. 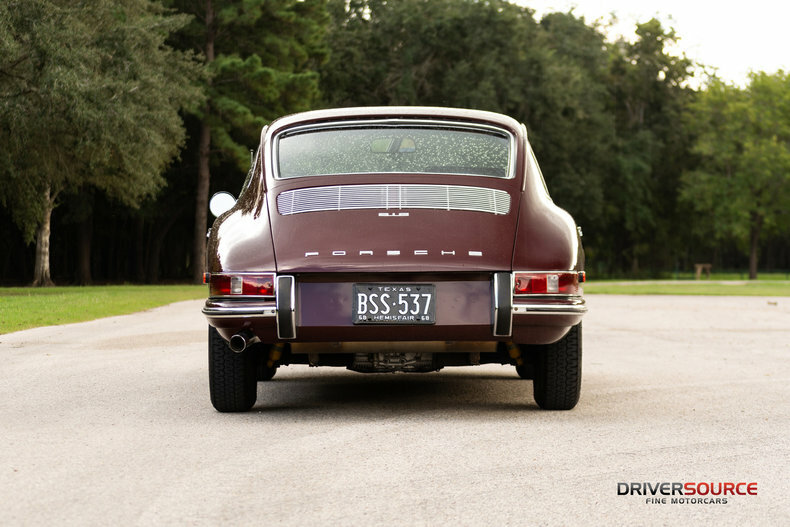 12800836 offers an exciting opportunity for its next caretaker whom we encourage to drive, admire and enjoy this fantastic 912 exactly as-is! 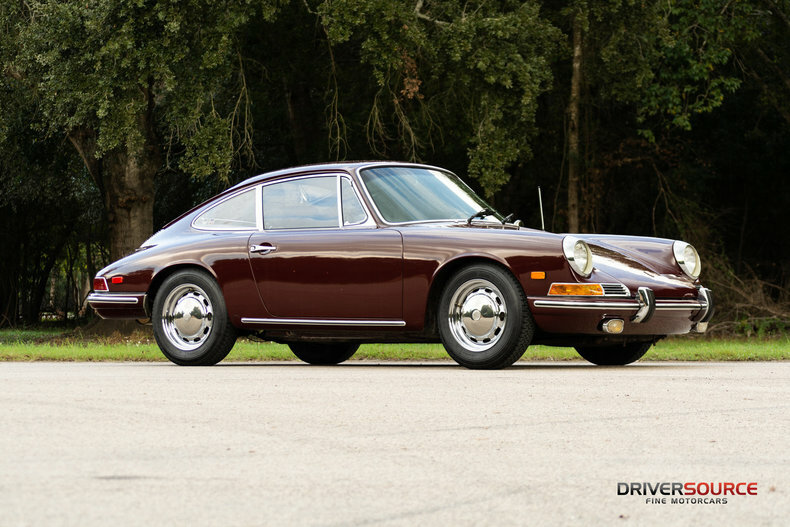 Now available for new ownership from our Houston, Texas showroom. 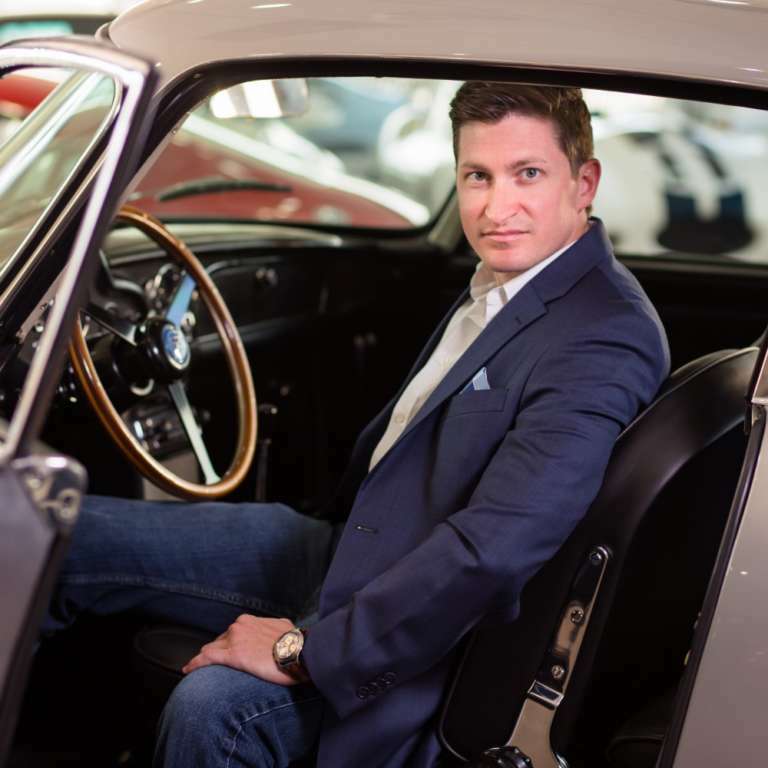 Brandon Mason from DriverSource looks forward to your questions and is happy to help you. 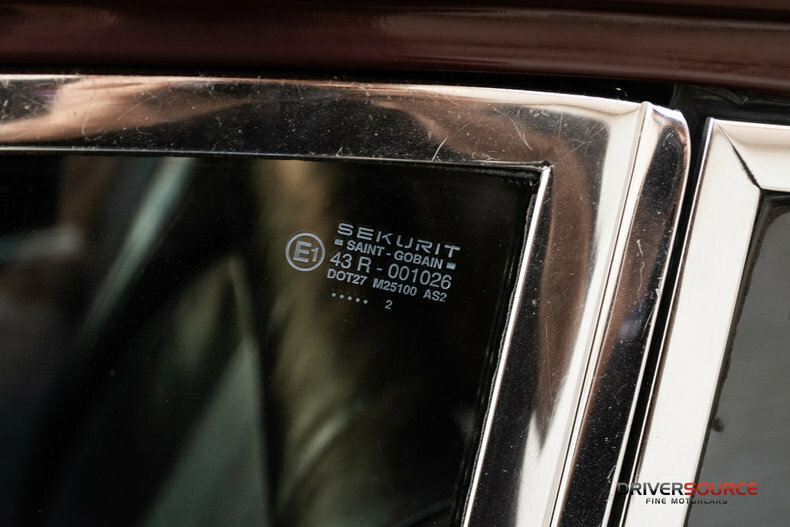 Please mention Elferspot when calling DriverSource.